I realize this is a left-wing liberal elitist but she’s also a middle-aged white woman so I am comfortable knowing this is a subject you all can enthusiastically rip apart. Do you support her, Michele? Don’t start acting like some pretentious friend who acts like they care what I think, lest I suspect you’re about to betray me. I don’t blame you for not judging the actions of a woman like this. Shes entirely too pretty to be held accountable. Perhaps I can find a way to blame Trump. Give me time. I’ll get back to you on that. 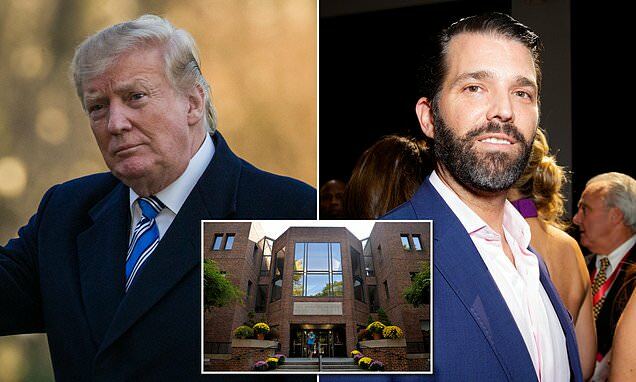 Donald Trump has come under scrutiny amid the college admission scandal shaming Hollywood, for his own generous donations to the University of Pennsylvania that started when his Don Jr enrolled. I’m so happy to find this article. I realize Jussie’s case was unique in that the entire case wrapped around holding Trump accountable for the crime Jussie committed but this one is different. Trump actually committed this crime when he made a donation to UPenn and should be held accountable for Lori’s actions. If that’s not enough, you could always condemn Felicity Huffman. She is an elitist liberal but not quite the looker Lori is. Personally, I believe we can and should hold Trump accountable for her actions as well. Don’t you agree? What are you on about? I asked a simple question. Do you support Lori Loughlin? Such an ad in Europe and I maybe might consider voting. I mean the ad beginning at 1:54.